The second edition of The Masters was held on 1 and 2 November. The 16 best players in the world gathered in Edinburgh, Scotland. 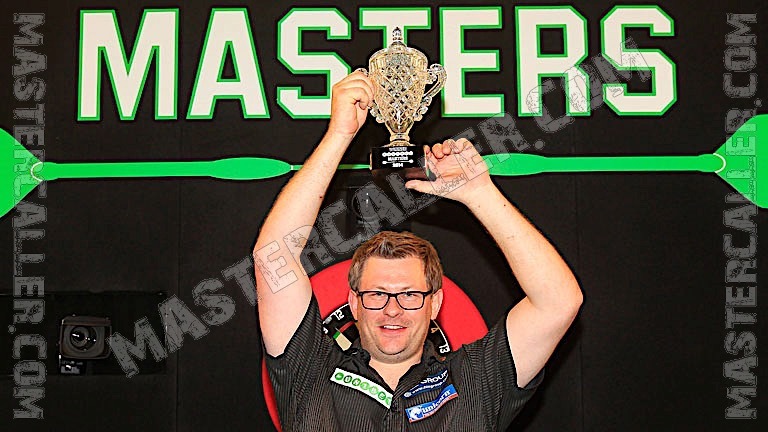 James Wade would go home with the title after a crazy final against Mervyn King. The King was well ahead in the game, he lead at 5-0, 9-2 and 10-6, but he could not finish the game of. Eight match darts were not enough for him and eventually it was Wade, who had actually given up, who won the title with a 135 finish in the deciding 21th leg. King and Wade had beaten the big favourites themselves en route to the final. King defeated Michael van Gerwen in the semi-final and James Wade defeated Phil Taylor in the other semi-final while The Machine had already defeated Adrian Lewis in the quarterfinals. The Scots were somewhat disappointing in front of their home crowd. Robert Thornton and Peter Wright went out in the first round and Gary Anderson lost a round later.